AC Milan are one of the biggest and most successful clubs in European football having won the European Cup seven times and the Serie A 18 times. 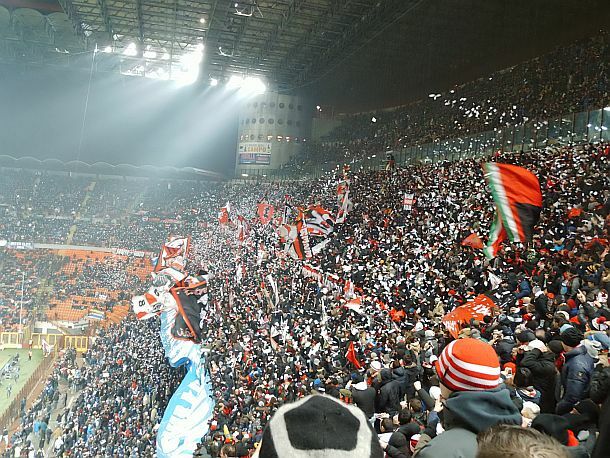 Owned by Silvio Berlusconi, Milan share their famous San Siro stadium with local rivals Inter Milan. Over the years AC Milan has been home to legendary players such as Paulo Maldini, Franco Baresi, Kaka, Alessandro Nesta, Cafu, Filippo Inzaghi, Clarence Seedorf and many more. The current Milan squad is managed by Massimiliano Allegri and contains rising stars such as Mario Balotelli, Stephan El Shaarawy and Kevin-Prince Boateng. Next season AC Milan look set to be competing with Juventus and Napoli for the Serie A title and will hope to improve on their third place finish in 2012/13. AC Milan beats Barcelona at home with 2:0 and Schalke remained unbeaten in the Champions League with a 1-1 draw at Galatasaray on Wednesday. Champions League: Real v United, Arsenal v Bayern and Milan vs Barca!